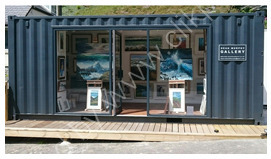 paintings in oil,watercolour,mixed media.I paint seascapes and figurative. My paintings are on show at my Gallery,Trebarwith Strand North Cornwall during the summer months and all year round at the Mill House Inn Trebarwith Strand. Contact me via the Contact form if you wish to commission a painting, or interested in purchasing a picture.